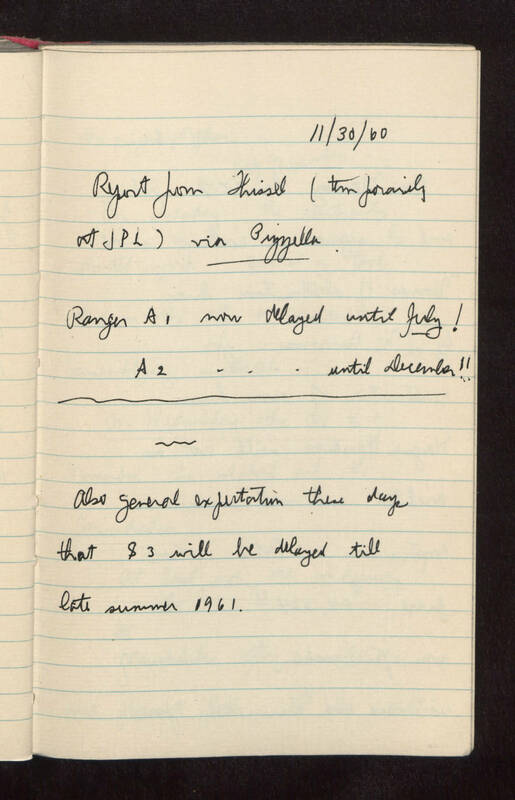 11/30/60 Report from [Thissel? Hissel?] (temporarily at JPL) via Pizzella. Ranger A1 now delayed until July ! Ranger A2 now delayed until December !! Also general expectation these days that S3 will be delayed till late summer 1961.